Seasonal Rental. One of the only views of the Gulf of Mexico in Belle Harbor, this three bedroom, two and a half bath condominium has direct balcony views of the Gulf and Rockaway Beach. Enjoy Belle Harbor's bayside pool, billiard room, fitness center, 24 hour security, and covered assigned parking. Master bedroom has a king, while the guest bedrooms have two twins and a queen sized bed. Rates: Jan - Apr, plus July - $5500, May - June, Nov- Dec - $5250, Aug - Oct $5000. All rates exclusive of taxes and fees. Vacation Rental. This two bedroom with a den, with two full baths, has a king in the master and a full bed in the guest bedroom. The den also has a full fold out sofa bed and is can be completely closed to create a third bedroom. 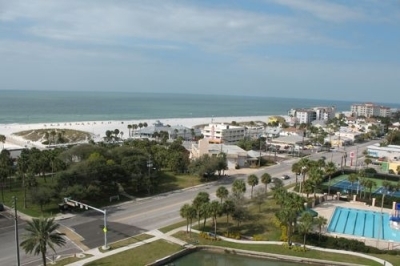 Enjoy all that Belle Harbor has to offer including the harbor side pool, hot tub, and fitness center, assigned covered parking, billiard and community rooms, and all right in the heart of Clearwater Beach with the sugar white sand of the Gulf just across the street. Minimum thirty day rental. Rental rates: Jan - Apr, Jul: $5000 per month; May-Jun, Nov-Dec: $4750 per month; Aug - Oct: $4500 per month. Newly renovated two bedroom, two bath unit in popular Belle Harbor. 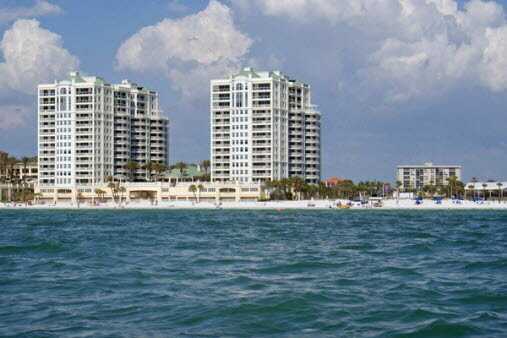 Enjoy views of the intracoastal waterway, Clearwater Beach, and even some peeks of the Gulf of Mexico! This unit has a king in the master bedroom and a full bed in the guest room. Belle harbor has it all, including marina side pool and hot tub, fitness center, covered picnic area with grills, community rooms, billiard rooms, assigned parking, and 24-hour security.Rental rates: Apr - Jul: $5000 per month All rates exclusive of taxes and fees. Vacation Rental. 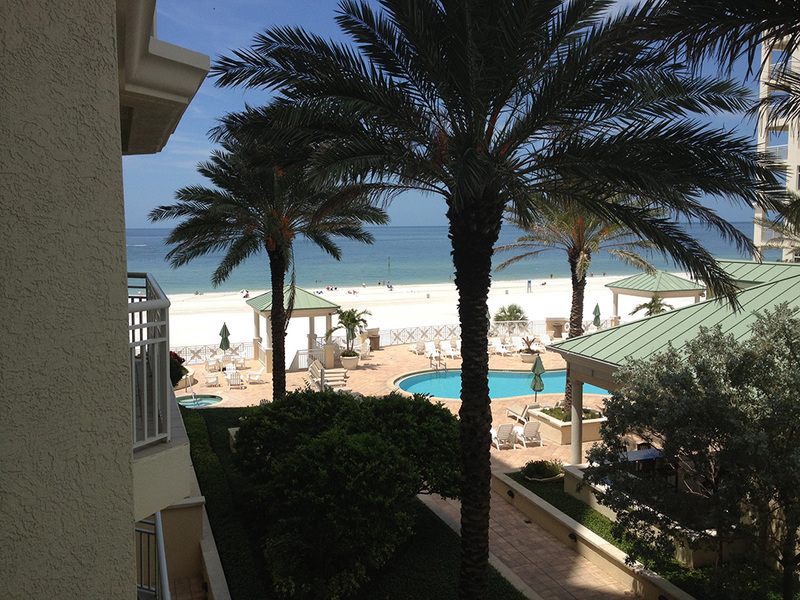 This two bedroom, two bath property has a southwest exposure looking out toward the Gulf of Mexico and famous Pier 60. With a king in the master and a full bed in the guest bedroom, this property is right in the heart of urban Clearwater Beach, walking distance to shops, restaurants, and all the attractions. Enjoy all that Mandalay Beach Club has to offer including beach view pool and hot tub, covered assigned parking, billiard and community rooms, fitness center with steam and sauna in each locker room, as well as 24 hour security. Rental Rates: Jan - Apr, Jul: $5750 per month; May-Jun, Nov-Dec: $5500 per month; Aug - Oct: $5000 per month. Vacation Rental. Experience the highest level of sophistication in the Sandpearl Residences in this two bedroom plus den property. Breathtaking views of both the Gulf of Mexico and the lights of Clearwater reflecting off of the intracoastal waterway are visible. There are two and a half baths with a king in the master and a queen in the guest bedroom. The den does have doors as well as a fold out sofa bed. Enjoy all that the Sandpearl Residences have to offer including beachview pool and hot tub, community room, billiard room, fitness center, assigned covered parking, and 24 hour Concierge/Security. You can even get Room Service from the Sandpearl Resort next door! Rates: Jan - Apr and July: $8000, May - Jun, Nov-Dec: $7250, Aug - Oct: $6750. All rates exclusive of taxes and fees. Vacation Rental. 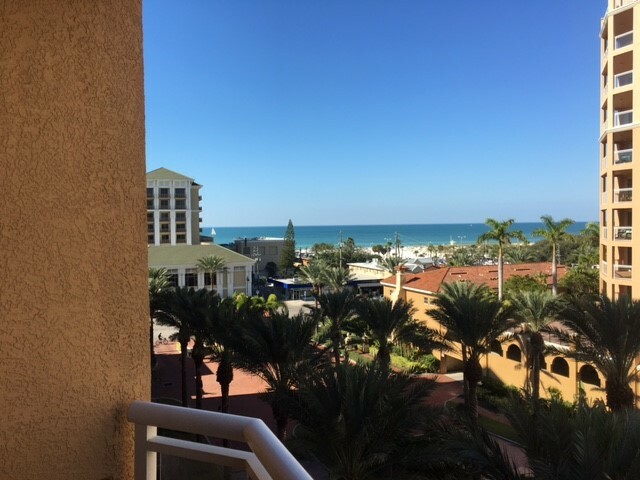 This two bedroom, two and a half bath property has fantastic views of the Gulf as well as the intracoastal adn the lights of Clearwater. The master bedroom has a king bed while the guest bedroom has a twin daybed with twin trundle. Enjoy all that the Sandpearl Residences have to offer including 24 hour Concierge service, fitness center, beachfront pool and hot tub, community room, billiard room, covered assigned parking, and even Room Service from the Sandpearl Resort just next door. Rates: Jan - Apr, and July, $7250, May - Jun, Nov-Dec: $6750, Aug - Oct, $6500. All rates exclusive of tax and fees. Vacation Rental. This two bedroom, two bath property has two king beds, with wonderful views of he Gulf of Mexico and the SandPearl Residences pool. Enjoy all that SandPearl has to offer including beachview pool and hot tub, fitness center, community room, billiard room, secured assigned parking, 24 hour Concierge/Security, and even Room Service from the Sandpearl Resort. Rates: Jan - Apr, July: $7,500, May-Jun, Nov-Dec: $7000, Aug-Oct: $6500.